Hello all, can anyone give me details on this model of Scammell ? 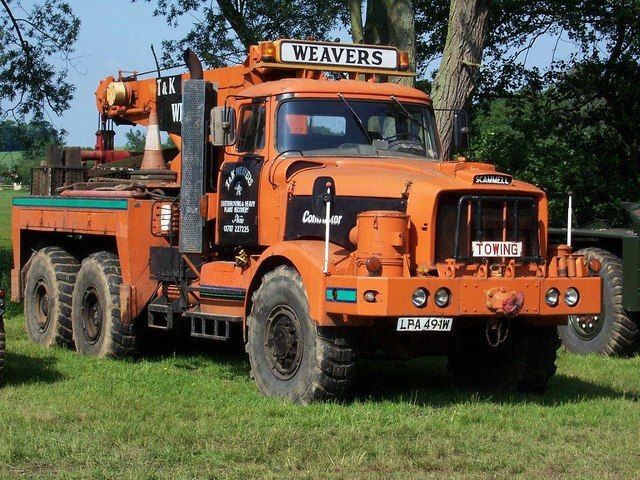 In particular the crane and winch equipment, are there many out there ? That is absolutely lovely. I would guess that it was built in early 1980's. It seems to have a "W" registration. Most of these were built for military export and I know that the Iraqi army had some. I saw some being built at Scammells in about 1983 or 84. Probably 14 litre Cummins engine, 15 speed fuller gear box, hopefully 16.5 ton Contractor axles and probably a GKN Kirkstall front drive axle. The LAD cab is a bit pokey which is why I made my Contractor's cab a crew cab. Oh and the Recovery equipment is probably Reynolds BOUGHTON. Slewing crane. 15 to 20 ton winch. 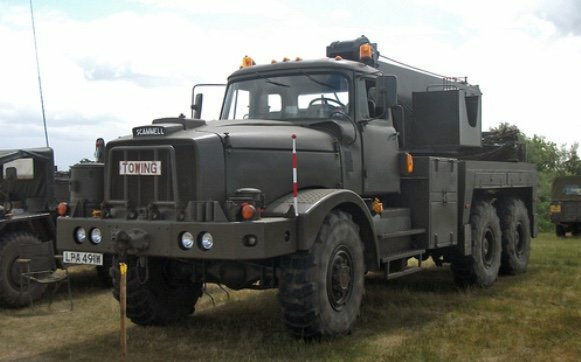 6x6 Contractor known as Explorer mk2. There were 4 or so chassis cabs available brand new when Scammell closed down, I seem to remember a couple ended up on a landfill site taking roadgoing trailers to the tipping point. A very rare desirable vehicle. Another to add to the wish list. Photo was taken at the Bunker Bash, Kelvedon Hatch on May 22nd 2011. The Explorer name is clearly visible on the bonnet side. this vehicle was previously owned by Dave Crouch and was the subject of an article by Bob Tuck in the May 1998 Truck and Driver. 15t Boughton crane, 14l Cummins 335, 10 speed fuller, 2 speed transfer box, 85t GTW. Suspect 25t pull winch. Thanks Toby, wonder where it is now ? Also owned by T & K Weavers at some point.